Today I want to share with you my card without coloring image. It's spring time ...... flowers bloom everywhere !! I had so much fun to making this card. I used Bazzil paper for base and Prima Marketing pattern paper. I just embossed on pattern papers and tear off the edges. Die cut some leaf with Memory Box die and embossed with stylus tool. Decorated with lace and chipboard swirls laser cutting. Thanks for stopiig by today and have a lovely day ! 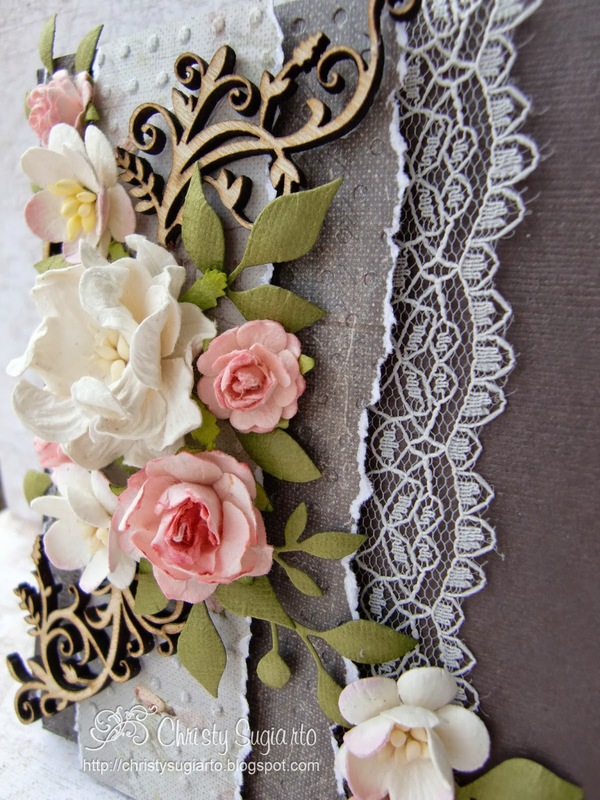 Wow Christy this is absolutely beautiful those flowers, the papers and lace it all look amazing. That is so beautiful! Thanks for joining us at Die Cuttin' Divas this week. Gorgeous~Gorgeous~Gorgeous!! Thank you for joining us at "The Shabby Tea Room" for our "Welcome Spring" challenge! 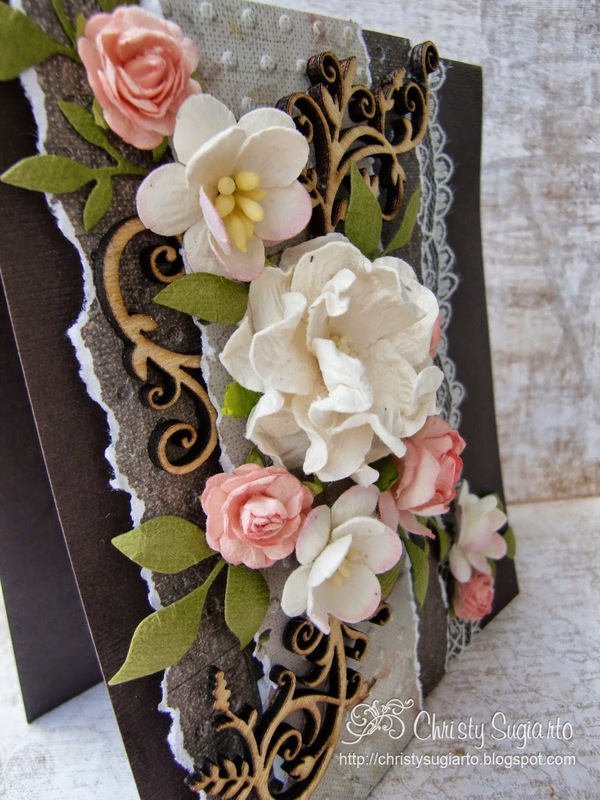 What a pretty and feminine card! Thanks for sharing it with us at Die Cuttin' Divas! Beautiful card. Thanks for joining us at Card Mania Challenge. Good luck! 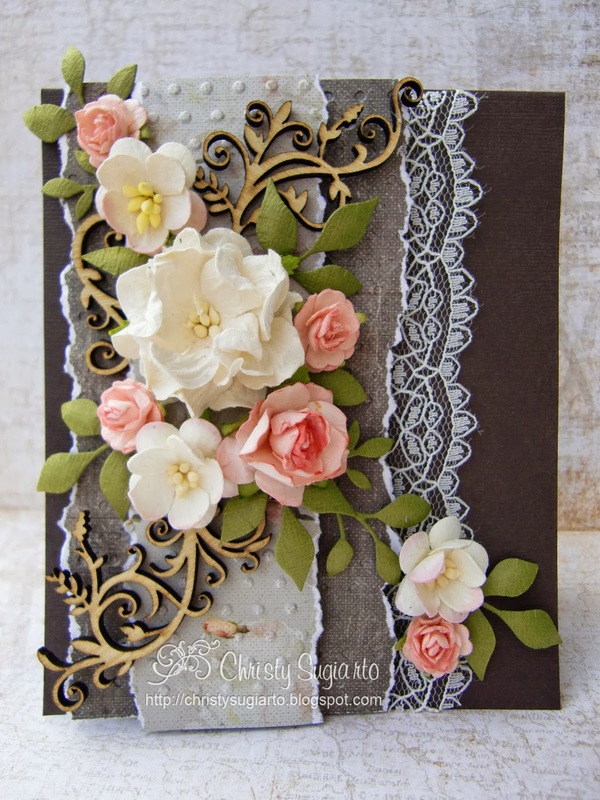 Gorgeous card Christy! Great design! 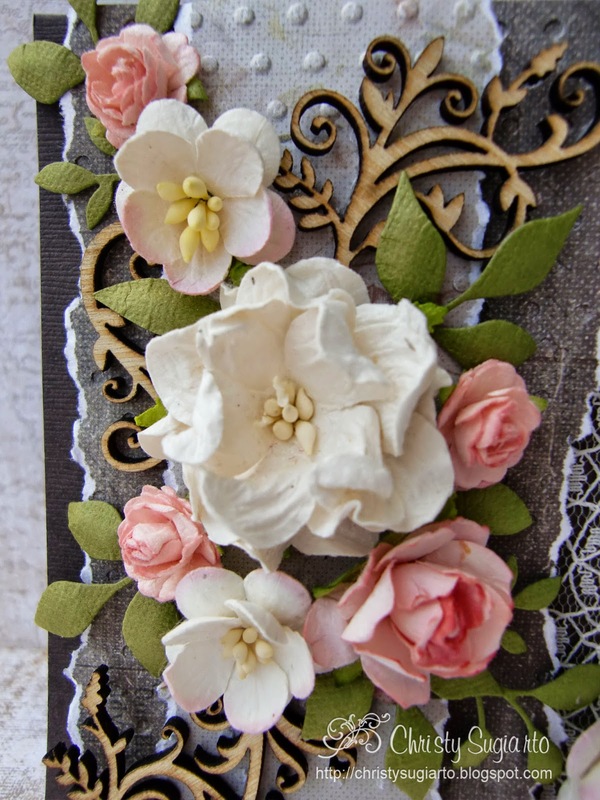 Thank you for sharing with us at I am roses challenge blog this month, good luck!